Virginia concentrates in the areas of estate planning, estate administration, and real estate. She represents clients in complex trust and tax planning as well as simple estate plans, retirement planning, charitable gift planning, Medicaid, and elder law. With more than 30 years of experience, Virginia represents individuals and couples in planning their estates, and families and institutions as personal representatives and trustees in administering estates. She willingly makes the occasional house call for clients with mobility issues. Virginia’s personal warmth is an asset in the estate administration area in particular. The weeks and months after the death of a loved one can be traumatic at many levels, and the job of the personal representative and trustee is often uncharted territory for our clients. With our wonderful staff and decades of experience, we do our best to ease the process and make it understandable. Buyers and Sellers of residential properties, Bed and Breakfast establishments, and commercial buildings have likewise relied on Virginia’s expertise in handling their purchases, sales, and leases in a timely and efficient manner. 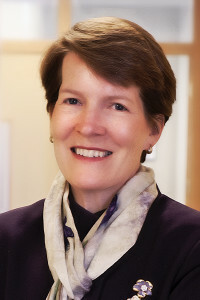 Virginia has several published book chapters, including “Liens Arising Upon Death” and a chapter on “Deeds of Fiduciaries” in Crocker’s Notes on Common Forms for Massachusetts Continuing Legal Education, Inc. She has also written for the American Bar Association and is a frequent lecturer for Massachusetts Continuing Legal Education (the organization providing programs and publications for lawyers to maintain professional competence). Virginia also has extensive writing and speaking experience on financial, real estate, estate planning, and health care planning matters for local and community groups. Like her partners, Virginia gives back to the community. She is a corporator of Berkshire Medical Center, a trustee of the Episcopal Diocese of Western Massachusetts, and committee member for Elder Services of Berkshire County and Berkshire Taconic Community Foundation, of which she is a past trustee and chair. Virginia is also past president of Berkshire Fund, Inc., an organization that develops housing for low- and moderate-income buyers. She has also served as an officer and director of the Real Estate Bar Association for Massachusetts. Her favorite volunteer activity has her at “St. Stephen’s Table” most Friday nights, serving meals and friendship to the homeless and lonely in our community. Virginia is a resident of Pittsfield, Massachusetts.